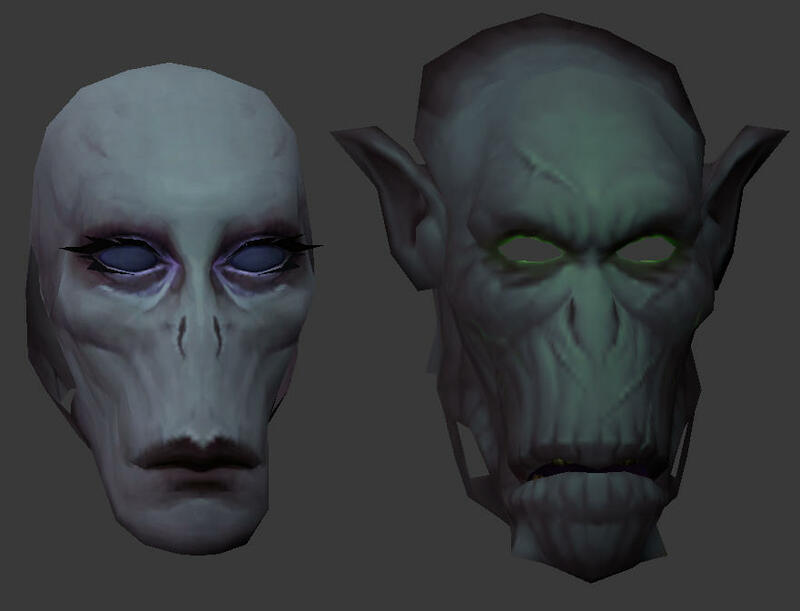 Working on a Draenei redesign where they look more like the Broken/Krokul. I've just started with the Broken-like female design; I'm really liking how it looks compared with the FelBroken male face. If you remember my christmas stuff, you can see that i work on a similar thing for valentine. And im really suprised how good the glowing roses look . Without the barrel texture, all is hand painted. Im not yet sure how i will do the horde ones, maybe red leaves and black/red roses. But not a complete new model. I'll include it as an optional patch with my WoD Character Models mod at some point. I lost motivation towards the end so the faces are very same-y and I could add some more hairstyles. Those look great! Would like to use them on a legion private server if they're compatible with that version.